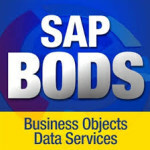 About SAP Business Objects Suite (BI & EIM). 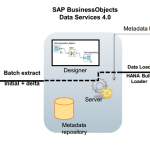 SAP Data Services 4.0 Introduction & Overview. 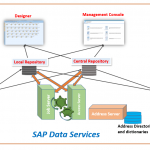 SAP Data Services4.0 Administration & Configuration (Server Manager, DSM Console). Management Console, CMC/Information Platform Services (IPS). Data Services Standard Users & User Groups. User Security-Local Repository & Central Repository & DSM Console. Transforms- Data Integrator, Data Quality & Platform. About SAP Data Services Text Analysis. Text Analysis in Data Services 4.0. Introduction to Text Services Platform and Administrator. Extracting Text Data- Email, Text, Portal Data, Internet Data. New Flat File Format Types – Unstructured Text, Unstructured Binary. Adaptive Processing Server (EIM Service). Performance & Memory Utilization Performance features. New Joins in Query Transform. New Hierarchy Flattening Transform Features. New Functions- Cryptographic, gen_UUID, BLOB, Copy Query. SAP Business Content Extractors i.e. 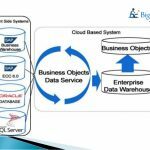 Data Sources extraction from ERP. SAP SLD & SMD Integration. New Operational Features-Designer GUI Keyboard accessibility, Multi-Language support. Source & Target additional properties.